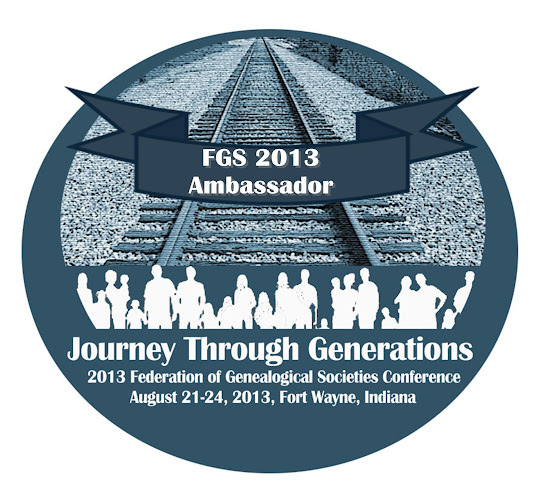 GenBlog: How Can You Save $90 On RootsTech 2013 Conference Registration? Read This Post!! How Can You Save $90 On RootsTech 2013 Conference Registration? Read This Post!! For the second year-in-a-row, I have been selected as an Official Blogger for RootsTech! The third annual RootsTech conference will be held March 21-23, 2013 in Salt Lake City, Utah. Building on the success and growth over the past two years, RootsTech 2013 is shaping up to be the biggest and best yet! Registration is now open…keep reading to find out how you can save $90 on the full conference rate. RootsTech, hosted by FamilySearch, offers an opportunity unlike any other to discover the latest family history tools and techniques, connect with experts to help you in your research, and be inspired in the pursuit of your ancestors. You will learn to use the latest technology to get started or accelerate your efforts to find, organize, preserve, and share your family’s connections and history. RootsTech has something for everyone, whether you’re an avid genealogist, just getting started, or simply want to discover the latest technologies and solutions to better connect with your family. At RootsTech, come prepared to experience world-class content from speakers all over the country, an exciting exhibitor hall, and great keynote speakers. Check out the session listing to see all the great presentations that are scheduled. New In 2013! A full track of Getting Started classes and labs will help those new to family history learn things like where to start, how to build their family tree, and how to use technology to explore your connections. Now for the good stuff. As a GenBlog reader, you can take $90 off the full conference rate between September 24, 2012 and October 12, 2012, by using the discount code RT129 when you register. That’s right, $90 off, brining the registration fee to $129 for three days of learning, networking, and just plain fun! So what are you waiting for? Head over and register today! !